Compatibility: Requires iOS 10.1 or later. Clash-A-Rama! Stickers Clash up your iMessage conversations with your favorite Clash of Clans and Clash Royale characters. Lovingly handcrafted by the folks that brought you Clash-A-Rama! These awesome emojis will make you laugh, cry, duel, or raid a village. 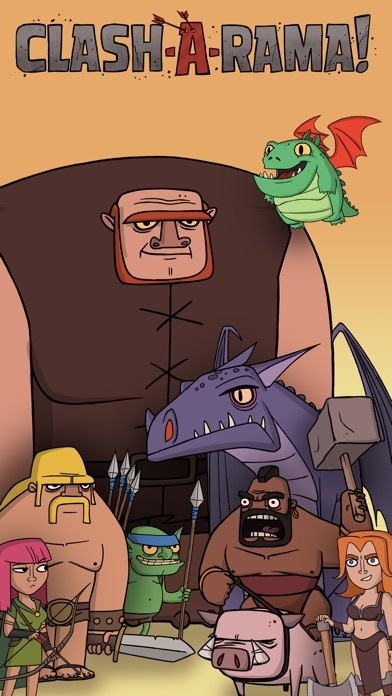 From three writer/producers of the Simpsons, and animated by the studio that brought you Futurama, comes Clash-A-Rama!, an original series based on your favorite Clash of Clans and Clash Royale characters. Get up close and personal with the Clash Universe. Visit the Hog Rider's Saloon, learn to build a Hidden Tesla or check out behind the scenes action in the Clash Royale Arena. You've never seen the Clash world like this! 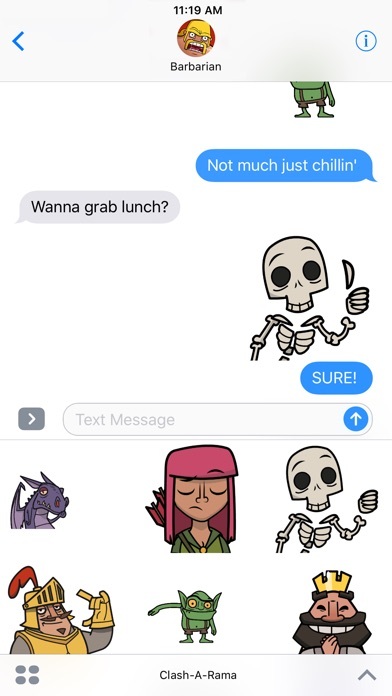 For the second image showing off the stickers through a conversation with barbarian if you look at the convo it never says "maybe a new hairstyle?" But in the convo he never said it. I really love the stickers my only complaint would be that there isn’t enough of them! 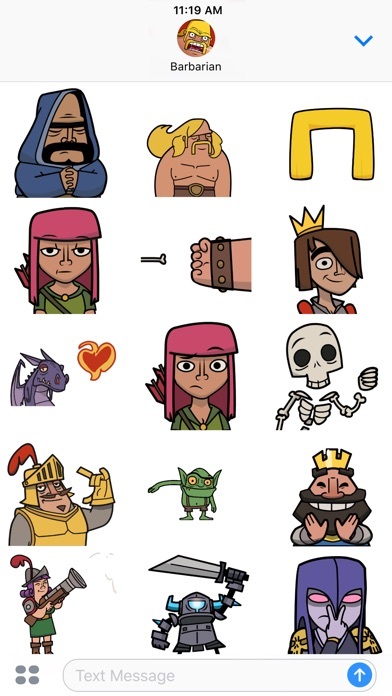 The stickers should be usable, if not, that’s apple’s problem, not supercell’s.